Handcrafted cheese plate and spreader. 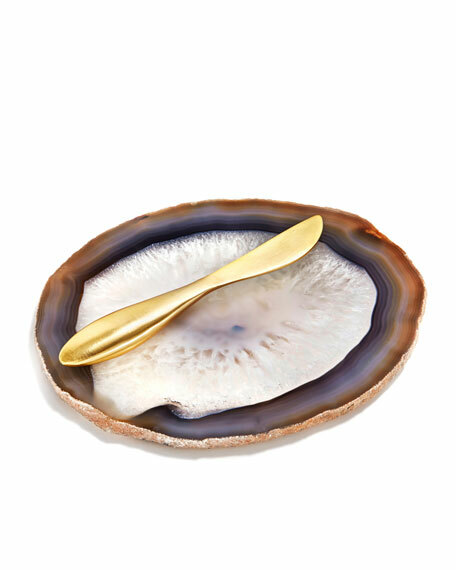 Agate plate; brass-plated zinc spreader. Size, shape, and color of plate may vary. Plate, 6.5"L x 5"W; spreader, 1"W.